Living peaceably alongside an invader is not always feasible for the indigenous populations of undiscovered countries. One group of mid-Atlantic coastal tribal people had been progressively forced westward in fits and starts as whites encroached increasingly on their eastern American tribal lands. Finally settling in a promising area of north-central Ohio, the Lenni Lenâpé—“The True-Born Men”—found some tranquility in their new village, Hell Town. Hell Town, despite its name, was a bucolic refuge. However, within a few decades of its founding a massacre by Colonial militiamen turned the quiet Native American settlement into a ghost town, creating yet another vanished village in the United States. Somewhere between 20,000 and 30,000 years ago, northeast Asian primitives crossed the Bering Strait land bridge (created by a drop in ocean levels during the last Ice Age). By 10,000 BCE these migrants had spread throughout North, Middle, and South America. In the North American lands the Asians gradually stretched eastward. As the millennia progressed, the customs and languages of individual groups, or tribes, varied enough they could be considered separate peoples by any ethnographer. Native Americans, technically of one “race”, were therefore differentiated later by cultural anthropologists according to their language groups, perhaps the easiest criteria by which to identity a particular group of people. Differences in dialects and in word usage (e.g., using different names for common objects than those used by a neighboring tribe, and in the names of their totemic earth spirits), however subtle, helped make each otherwise superficially similar group distinct. Often, early Europeans (through ignorance or indifference), upon encountering these people for the first time in different places in the New World, assigned different names for the exact same linguistic culture. Thus, today we have the Sioux (also known as Dakota), and the Chippewa (the Ojibwa), among many other multi-named tribes. Other tribe names came from indolent Europeans based on simple physical characteristics. Flathead Indians called themselves the Salish. The practice of flattening the heads of infants by strapping them tightly to swaddling boards was common among the tribes from which some of the Salish slaves came. Typical of the white people, though, the slaves were undifferentiated from the masters; the Salish became known as the Flathead Indians (even though none had flat heads). The Nez Percé (“pierced nose”) tribe was lazily given their appellation thanks to the custom of piercing their nasal cartilage, plugging the hole with totemic and cosmetic adornments. Interestingly enough, very few of these Indians engaged in the practice—it was the minority piercers that caused the French to name a whole tribe after the custom. Two other grand faux pas in naming the Children of the Land came courtesy of the French (again) and from the Spanish. The Gros Ventre Indians were so named by the French (they consisted of two distinct groups, the Hidatsa in Missouri and the Atsina of the Plains). French explorers, fur trappers, and traders misinterpreted certain repetitive hand signs used by these Indians. The foreigners came to conclude the gestures meant “always hungry”; the name Gros Ventre—“big belly”—became an epithet of derision for these people, in effect calling them beggars. In another misunderstanding in Mexico, conquering Spaniards first reached the eastern shore of a vast Gulf peninsula in the early 1500s. Striking inland they asked the Mayan natives they encountered what the name of the place was. Repetitions of the question did not help—these Mayans, not speaking 16th Century Castilian, replied with terms that meant “I don’t understand” or “I don’t know”. The Spaniards, in their smug belief they were communicating, thought they had been given an answer in an oft-heard response: “Yucatán” (“I don’t know”). They named the peninsula that; they also dubbed the people of the land by that name as well. The term has since been reinterpreted to mean “Land of the Yucca” (referring to the desert succulent). Most Natives, in their own languages, referred to themselves by a word or phrase that usually meant “The People” or some variation. For groups not bound by geopolitical lines, land grants, or real-estate transactions such an appellation made sense: they were simply “The People”. In the mid-Atlantic region of eastern North America were several groups belonging to the Algonquian (or Algonkian) language family. This umbrella category included the better-known Micmac tribe, the Massachuset Indians, and the Powhatan (or Virginia Algonquian, the tribe of Pocahontas). Among “The People” of the Algonquian was a smaller population of Natives, styling themselves as the parent stock of all other Algonquians. They called themselves “Lenni Lenâpé”—“genuine” or “true-born” men. Anglicized, they were the Lenape. Other East Coast tribes recognized and respected the Lenape’s claims of “fatherly” status. At the time of first contact they likely numbered no more than 15,000 in about 80 distinct settlements (though through small pox and other diseases introduced by Europeans their numbers dwindled rapidly). They inhabited seaboard woodland territory stretching north from the Virginia border to lower New York State, including the island of Manhattan (a name of Lenape origin) and western Long Island. Later stripped of their Native name they became known as the Delaware Indians. The first notes on the Lenape way of life documented the agricultural activities of Lenape women (responsible for three staple foods: corn, beans, and squash, known as the “Three Sisters”). Agricultural acreage was managed by Lenape women, with allotments decided according to needs of their extended families. They had no concept of owning land; clans shared land-use rights among themselves. The men hunted the woodlands and harvested sea food. The Lenape were usually peaceable with their white neighbors though not always among themselves. Their distinct tribal territories, called polities, might hold several hundred members each. Occasionally, these polities warred with each other in intra-tribal conflicts or with other Native American groups. European exploration and settlement of what became the State of Delaware took root first in 1638 when a joint Swedish-Dutch expedition settled the area of modern-day Wilmington, Delaware. These first interlopers interacted with the “True-Born” Lenape and found them to be friendly and trustworthy. In 1610, Thomas West was made governor and captain of Virginia. He was sent to the New World by the Virginia Company to be the administrator of Jamestown and to report back on conditions there. He arrived in June of that year just in time to stop the malcontent Jamestown group as they were abandoning the colony. Restoring order West had two other forts built (Fort Henry and Fort Charles) for protection. In 1611 he returned to England to solicit additional support for the Jamestown business—he died on his return voyage to Virginia. In 1609 Henry Hudson (under Dutch sponsorship) discovered what was later named the Delaware River after the insignificant British official, Thomas West, the Baron de la Warr. Because of Hudson’s “discovery” the Dutch laid claim to the land though Britain had already included it in its Virginia claim. In 1631 a Dutch trading post was set up near the present town of Lewes. The Lenape defaced the insignia of the Dutch West India Company they saw displayed; the Dutch retaliated for this perceived outrage. In response, in 1632, a local Lenape band killed the 32 Dutch settlers at the post. In 1638, the Swedes (under Peter Minuit) established Fort Christina (named for Sweden’s child queen, Kristina Augusta Wasa). This fort (near the site of modern-day Wilmington, Delaware) was built despite British protests. The Dutch based justification for the settlement on a “purchase” from the Lenape (a business maneuver Minuit had already used when securing Manhattan Island for the Dutch more than a decade earlier). The surrounding area became known as New Sweden, but the river remained named for the Baron De La Warr. Over time, the lands drained by the river and even the Native people were given the name of the British nobody by late-arriving Europeans (perhaps too indifferent to care about or learn the real name); the Lenape became known as the Delaware Indians. The Dutch Delaware colonies fell to the British. They remained firmly in the Crown’s control until the American Revolution, except for a period from 1673 to 1674 when the Dutch briefly regained dominion over a small area. During that interval the Dutch ruled over three counties in the Delaware lands. The Duke of York (later King James II) held the land grants for these districts, and when Britain recovered them he deeded them to William Penn in 1682 as part of the vast Pennsylvania land grant. Members of the Friends were often at odds with civil authorities for their rejection of the state church, refusal to pay tithes to that church, and for refusing to swear oaths (as required when giving court testimony). Other distinguishing characteristics of the Friends were their plain speech and dress. They refused military service; though pacifistic, the true abhorrence of such service stems from their anti-oath posturing (joining any military service required a pledge of allegiance to a country). Also out-of-synch with the times, the Friends opposed slavery. The Friends were often persecuted or imprisoned, mostly for refusing to pay tithes to the Anglican state church. In 1650, the rapidly growing movement received the nickname by which it is best known: Quakers. A judge inadvertently gave them that moniker in a statement: “we bid them tremble at the word of God”. Many Quakers left England hoping for some degree of religious freedom in the New World. Contrary to popular belief the Puritans that preceded them were not escaping persecution in England. They had already done that many years earlier when they left England for the religiously tolerant Netherlands. However, the children of these English Puritans were losing their English heritage, as their elders believed; they grew up speaking Dutch and assumed many of the customs of their parents’ adopted land. It was this fear of assimilation, not persecution, which led the Puritans to voluntarily leave Holland and sail for the New World. Among the first things these good Puritans did was establish an intolerant theocracy in the Massachusetts Bay Colony. Just as any downtrodden group looks toward a perceived lesser to persecute, so, too, did the Puritans. They were the worst oppressors of genuine personal liberties on the new shores. The Quakers were not received by the arch-conservative Puritans (in place since 1620) with open arms in the Massachusetts Bay Colony. The non-pacifist Puritans set about tormenting the timid Quakers so vociferously they were forced (unlike the Puritans from Holland) to flee, moving into the tolerant environment of what became Rhode Island. The Quakers needed a Zion. England’s King Charles II was persuaded to charter a colony in what is now Pennsylvania, handing the reigns of control over to the sponsorship of William Penn, a Quaker leader, in 1681. Penn arrived in his new colony in 1682. Wisely, one of his first actions was to seek counsel with the local Lenape natives. Lenape polities existed in several pockets of eastern Pennsylvania lands. Penn, the calm Quaker, was a surprisingly beneficent man for his times, and he genuinely hoped to share the colony with the Lenape, wanting the two groups to peaceably co-exist. Penn and members of the Lenape hammered out a peace treaty in 1682. Though Penn tried to insure the Lenape’s tribal lands would remain available to them he also expected his authority (as granted by the charter) over the colony to be respected. This meant the Lenape should comply with the requirements of his Colonial government over any other considerations they might have. And while in the early years Penn’s relative benevolence toward the Lenape meant the Quakers and they lived side-by-side without incident for many years this peaceful condition could not last. The Lenape also crossed over into the Ohio River Valley territory (lands mostly occupied and dominated by the Erie Indians). Others, however, remained in eastern Pennsylvania, assimilating to the best of their abilities. In Lenape polities outside Pennsylvania and Delaware the story was the same. In 1524, it was the Lenape (of the Munsee Lenape language group) who met the first white man, Giovanni da Verrazano, when he sailed into what was later named Lower New York Bay. A century after Verrazano’s visit, on the island of Manhattan, the Lenape lived cheek-to-cheek with handfuls of strange white people who had first shown up in 1624. One of these strange white people was Peter Minuit. He was the director general of the Dutch West India company (he later helped the Swedes settle in Lenape lands further south on the Delaware River). For the moment, however, Minuit needed to help himself to Manhattan on behalf of the Dutch. He had to legitimize European occupation of the southern tip of the island. To do that, he applied European standards of real-estate transactions, and he bought the island in 1626 (for the 60 guilders’ worth of trinkets written up in nearly every history book). However, the misguided Minuit had been fooled. First, by Native American standards there was no such thing as “owning” land—land was there to use by its occupants or others with permissions, but it was not owned outright. Secondly, the Natives who “sold” Manhattan to Minuit were not the Lenape (whose ancestral land it was) but a rival Algonquian tribe, most likely the Wappingers (who could not claim Manhattan as “theirs” in the first place). Finally, the transaction was meaningless to the area Natives—they all presumed they would still be able to hunt, fish, or live on the land, sharing it with the Dutch. The Dutch colony of New Amsterdam grew quickly. The Lenape lived in a U-shaped bucolic valley of meadow and marshland just north of the new village’s heart. In their valley sat a very valuable commodity, a 48-acre spring-fed pond (really a small lake). As a freshwater source it was highly desirable for the rapidly growing Dutch town. Minuit intended to enforce his “purchase” of the island; the Lenape living on the shores of this little lake were quickly rousted in short order. In 1634, an Iroquoian-speaking tribe, the Susquehannock, warred with the New York Lenape over trade access with the Dutch white people of New Amsterdam. These Lenape then became vassals of the Iroquois though retaining their independence. The Dutch surrendered New Amsterdam to the British in 1664; it was renamed New York City. By the early 1700s, thanks to both Dutch and British encroachments there were no more Lenape in the city at the tip of the island. The Lenape of Manhattan moved into the Hudson Valley countryside and eastern Pennsylvania. The formerly idyllic valley of the Lenape on Manhattan, a scant few decades after their departure, turned into something very ugly. The marshes were drained. Ramshackle structures were thrown up as housing almost overnight. The foot paths became named streets: Canal, Park Row, Center, and The Bowery. Three of this overcrowded area’s streets (Park Row, Worth, and Baxter) came together, creating a five-way intersection. This confluence, and the slum around it, became known as The Five Points. By the mid 19th Century this once quiet landscape festered into the world’s most densely populated—and its worst—immigrant slum. Many aboriginals succumbed to coercive religious conversion methods. Most “conversions”, such as the early 16th Century’s wholesale Catholic subsuming of Mexican indigenous peoples, were a means of self-preservation for the vanquished. Certainly, they could not believe the fantastic and flighty stories and tenets of the Church—it was merely politic to adopt the forcibly-championed religious conviction of their conquerors. Death at the hands of an inquisitorial enemy was the alternative for the Mexican Indians. The “heathen” Native Americans of Penn’s day came in for their share of religious conversion. The group most successful in “Christianizing” the Lenape was a quirky sect called the Moravians. This group was an offshoot of an earlier 15th Century movement in the Germanic provinces of Bohemia and Moravia. This early version was persecuted out of existence but re-emerged under its new name in 1722. By the early 18th Century, many Lenape voluntarily moved farther away from the eastern woodlands they’d occupied for millennia. They came under the dominion of the Iroquois about 1720 as they moved into western Pennsylvania. Others were cheated from their ancestral lands in Pennsylvania by the machinations of William Penn’s sons—Penn had died in 1718 and his offspring were nowhere near as charitable of the Natives as he had been. Skirmishing led to many raids on European settlements. A complete removal of all Lenape was finally instigated by the Treaty of Easton in 1758. This peace treaty had been signed by Lenape representatives and Europeans in Pennsylvania. It required all Lenape to vacate their ancestral lands in Delaware, eastern Pennsylvania, New Jersey, and eastern New York. They were further ordered to keep heading west until they hit Ohio (a territory then mostly populated by Native Americans). Three major tribes had informally subdivided the Ohio territory as dwelling and hunting lands. To the south of the Ohio River, the Shawnee of Kentucky also used parts of southern Ohio for its needs. The Miami group likewise occupied a large western and central part of Ohio. With the Erie Indians (of the mighty Iroquoians) in the north of the territory, Ohio was mostly “claimed” by these three tribes. The Lenape were not the largest tribe among the eastern Algonquian Indians. But the New York Lenape had been vassals to the Iroquois in that region until 1753; thus, they were a known quantity to the Erie. Furthermore, they were peaceable enough and respectful enough that they were allowed to settle unmolested in Ohio. When the Lenape migrated west to Ohio the German Moravians followed them. 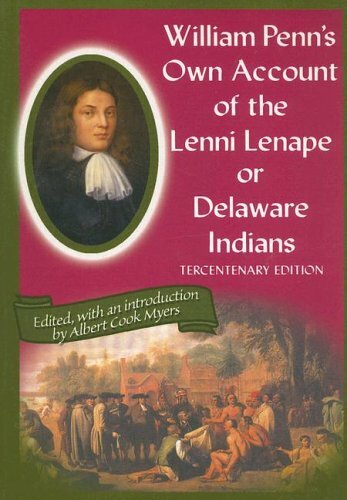 To date, the Lenape Christians were the Moravians biggest success story and they wished to continue their missionary work among the other tribes they hoped to meet in Ohio. Using the Christian Lenape as allies and liaisons the Moravians, with the Lenape, created an Ohio settlement called Gnadenhütten (the Moravians also built several other mission towns with Lenape residents as part of the populace). Gnadenhütten was only about 45 miles (72 km) west of Pennsylvania’s western frontier, and the Lenape still made forays into Pennsylvania, occasionally raiding its more westerly settlements. Credit: American Peoples Encyclopedia, 1963Roughly 50 miles (80 km) south of Lake Erie in north-central Ohio lay the confluence of two streams (in the southwestern corner of Ashland County), forming a branch of the Mohican River. The more northerly is the Black Fork; the southern arm is Clear Creek. A short distance north of this place of convergence is a hill. The Mingo people (also members of the eastern Algonquin language group) made this hill overlooking the Black Fork and Clear Creek junction an early home. The Mingo abandoned this spot in 1755 (three years before the Treaty of Easton forced a mass involuntary migration of the Lenape from the east). In about 1770, a group of Lenape discovered the abandoned Mingo Indian village site and decided to stay. The area around their hilltop community was quiet and remote. There was no immediate danger of white people moving in and forcing them out. From exposure to the Moravians the Christian Lenape knew of Christian fears of a post-mortem place of fiery damnation for those who did not toe the Christian line. They also knew the word for this place in English. But the Germanic Moravians used the same word to convey the concept of “transparent” or “clear”. One of the nearby creeks that ultimately fed the Mohican River was called Clear Creek, and the Lenape initially dubbed their new quarters “Clear Town”. Whether innocently or not (more than likely the Lenape did what they did to instill fear in the hated English who might hear of their new home) they recalled that the German Moravians referred to Clear Creek by a different name; the German word for “clear” (“hell”) sounded like something the English feared. The German descriptor for the creek was applied to their Ohio hilltop village: “Hell Town”. To English speakers this conjured up images of a horrid place, a place to be shunned. And that is just how the Lenape preferred the outside English-speaking world to think of their peaceful village on the knoll: as a purgatorial place to avoid, even though no hellish fury could be found there. The Lenape existed in Hell Town without incident for several years. The French and British, however, were in a near-constant state of war in Europe and on the high seas. In North America (in King William’s War, 1689-1697) French Canadians, New Englanders and their Indian allies fought to repel British dominance in several key areas. The outcome was inconclusive with the British taking Port Royal in Acadia (later Nova Scotia) but failing to secure Quebec; the French forces took Schenectady, New York, from the British but failed to capture Boston. More conflict came later with Queen Anne’s War (1702-1713). The French (still warring with Britain) crossed over from Canada in 1702 and raided British colonial border settlements in New York and New England. More border raids along the Canadian range were executed by both the French and the British during King George’s War (1744-48). Finally, things came to a bloody head as the dispute over control of the upper Ohio River valley came to a climax. British settlers were in the majority in the coveted area; it was French exploration, trade, and Indian alliances that set the commercial and cultural precedents, however. And, like the Puritans before them (eschewing Dutch culture) the English Colonials did not want a French influence to taint “their” way of life. This clash, later named the misleading “French and Indian War”, saw many Native American tribes ally with the French simply because the British were more reviled by the Indians. While the French where also guilty of stealing Native lands and oppression and killings of Indians they were not as bad as the British (or its Colonial citizenry, for that matter). The British both before and during the Revolution were very mercenary in their encounters with Native Americans. So, too, were the British citizens living in Colonial America; whites born in the new lands adopted the prejudices of their British parents. Britain did not (nor would it in the future) have a good record with respect to its treatment of indigenous peoples it chose to subjugate (Native Americans, the people of India, the Australian Aborigines, et al). This comes from a British sense of privilege and class-consciousness—these indigenous people were inferior in their eyes in every way. Therefore, they were to be subjugated and preferably exploited if possible. If assimilation could be neither successful nor desired (in some cases) then elimination of that population was chosen, either by genocide or enforced segregation. 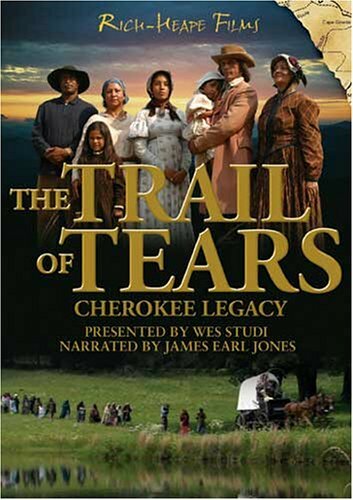 Certainly wishing to rid their land of all whites (including the French) Native Americans employed the expedient of the Islamic principle “the enemy of my enemy is my friend”—half a victory for the Indians (annihilation or expulsion of the hated British) was better than nothing. The French, as the Indians knew, did not seem bent upon total genocide or forced migration of every Native group encountered. As the lesser of two evils, the Indians made the choice to side with France in the warring. In the earliest years of this extended war the French were very successful. They defeated a British force (which included a Colonial militia led by Col. George Washington) at Fort Necessity, Pennsylvania. Similar victories led to French dominance of the Ohio River Valley until 1758 when Britain increased aid to its troops, and British victories stacked upon each other. Like the Quakers, the Moravians (guided by the Bible as their only rule of faith and worship) were pacifists who also did not believe in oath-taking. These beliefs had been impressed upon the Lenape who had switched to Christianity. As a result a number of Lenape took an overall neutral position during the French and Indian War. This neutrality appeared again when the American Revolution began. The Lenape, aware that George III in 1763 had restricted his Colonial citizens from spilling west of the Allegheny Mountains, held out hope that the balance of the American lands would remain untouched if the British prevailed. Some others among the Lenape sided with the rebels, hoping to create an exclusive Indian country in Ohio (populated only with Native Americans but part of the emergent United States). Those who sided with the rebels supplied the Colonials’ Continental Army with warriors and scouts, taking food supplies and a small measure of personal security in trade. The British sought out many Native Americans as allies for the ground war in the Colonies. Though some Indians joined the British in battling the Colonials many other Indians joined the rebels in fighting the British. Again, this was an expedient for the Native Americans—the British had the greater military might and getting rid of them was more important than forcing out the weaker Colonials. To the Native Americans, the Colonials (like the French), could be dealt with at a later time when the greater perceived threat—the British Army—had been defeated. The Lenape of Hell Town, as they had done in the French and Indian War, maintained their relatively neutral profile. They lived their days on their hill village venturing out and making different camps as the hunts took them throughout Ohio. The ground war of the American Revolution had only touched the Hell Town Lenape insofar as they knew it was an ongoing conflict. As many were non-combatants the outcome mattered little—there were still many white people to contend with, as many as ever. They likely only wished the warring parties mutually destroyed each other. Other branches of the Lenape, however, were fiercely divided. Many sided firmly with the British and took up residence in northwestern Ohio, closer to the British stronghold of Detroit. From there they led many forays into Ohio to either persuade other Lenape to join the British or to wreak havoc in western Pennsylvania at Fort Pitt (the future Pittsburgh, Pennsylvania) and other border settlements. Other Lenape, still harboring dreams of an Indian Zion in Ohio if the British were defeated, sided with the Colonials. And then there were the Moravian converts among the Lenape. These Christian Indians took no sides. They lived among the missionaries mostly in the settlements the Moravians had established in central Ohio after 1770. The divisiveness between the Lenape people was greatest concerning the Christian Lenape, sometimes called “Jesus Indians”. The Moravian missionaries (clearly biased toward the Colonials) used their Indian wards as field agents. The Moravian Lenape scouts reported back to their mentors about British activities in the Ohio/Detroit northwest; in turn, this intelligence was handed over to the Colonials at Fort Pitt. In the mid spring of 1781, the main Lenape village of Coshocton (not generally Christian) had been attacked and destroyed by a militia from Fort Pitt. The survivors fled north toward Lake Erie and took up with the Indians siding with the British. Northwestern Ohio Indians (among them many Lenape), allied with the British, formed a raiding party that swept into central Ohio in September 1781. The Christian Lenape and key Moravian missionaries were scooped up from several mission settlements and force-marched to a holding village established for that purpose (on the Sandusky River near Lake Erie). This marshaling settlement was appropriately named “Captive Town”. Two Moravian mission leaders among the Christian Lenape prisoners-of-war were tried for treason by the British. They were acquitted at the time (though subsequent research proved they had provided reports to the American garrison at Fort Pitt about British/allied-Indian movements). Insufficient rations doled out at Captive Town left the Indians living there almost starved. A group of nearly 100 decided to go back to their recently-raided mission villages to harvest crops they’d left behind and to gather up cached foods. The group comprised men, women, and children. They left Captive Town in February 1782 and headed south and east. The relief party moved into one of the mission villages, Gnadenhütten, Ohio (on the Tuscarawas River, 50 miles southeast of Hell Town), in early March 1782. They set up camp and coordinated their food gathering. The land-based fighting between the British and the Colonials had officially ended several months earlier in late 1781 (though the last British troops, in New York, did not leave until November 1783). On the frontiers, though, pockets of violence flared among the Natives and wandering militia bands. Learning of the Moravian Lenape’s return to Gnadenhütten a Colonial militia leader, David Williamson, devised a plan. Though the details are lost to history, he and his 160 men approached the Lenape under some pretext and pretended friendship with them on March 7, 1782. Having gained their trust they surrounded the Lenape and disarmed them. They were accused of raiding Pennsylvanian settlements by Williamson and others among his belligerents. The Lenape scratched their heads: they were the Christian Lenape. Indian raiders must have been from the other two non-Christian Lenape factions, they averred. Williamson had already decided their guilt, though; it was only their punishment that was open to debate. He wanted to slaughter all in the temporary Indian encampment. A vote was put to his men; some, appalled at the idea of mindlessly murdering the Indians with no proof of guilt, refused to vote or otherwise participate. The vote overwhelmingly fell in favor of a massacre, however. The little band of Lenape was advised they would be put to death. The tribe asked for some time to prepare—Williamson stayed his hand until the next day. The Lenape men were culled from the women and children, and the two groups were locked up in two separate buildings. The Lenape dead numbered 96 (28 men, 29 women, and 39 children). The militia plundered what material goods they could find from the dead Lenape and ransacked the rest of the abandoned Gnadenhütten. The bodies of the murdered Lenape were burned along with the village—any remains surviving the conflagration were gathered up and buried in a barrow mound to the south of the town. Two boys (both badly injured, one of whom had been scalped), however, miraculously survived the slaughter. They escaped the carnage and were able to tell of the atrocity committed at Gnadenhütten. Sentiments being what they were on the frontier, though many Colonials were appalled, ensured that none of the men involved in the Gnadenhütten Massacre ever faced justice. When word filtered back, the few Christian Lenape remaining in Hell Town made a decision. Knowing it would only be a matter of time before other white men came looking for them (specifically to further a vendetta started in Gnadenhütten) they packed up and left Hell Town for good. The site was completely abandoned in 1782 in the wake of the massacre at Gnadenhütten. Hell Town was never re-established, and it disappeared into the landscape. Anthropologists discovered (in the 19th Century) that the “hill” upon which the Lenape (and their predecessors, the Mingo) had set up housekeeping was in reality a high mound, clearly constructed of sandstone rocks “mortared” with firmly packed dirt. This suggests that the Mingo before the Lenape were not the first occupants (though both groups may have added to the height and breadth of the mound during the course of their occupancies). Several Lenape graves were noted at the site until the late 1800s; starting in 1881, farmers plowed these under over a two-year period. Amateur and professional digging at the site during that time of destruction uncovered two iron knives, an iron tomahawk, stone arrowheads, a stone axe, a gun flint, and some brass mountings from a musket. Most of these items clearly date from the time of the American Revolution though the stone tools are certainly much older (probably predating the Mingo). The story of the Hell Town Lenape is but one incident in the history of these people from their time of exile in Ohio. Other Lenape collectives met with similar disasters elsewhere in their adopted territory. As for Hell Town, the closest thing to civilization that came near it in later years was Newville, Ohio (in the southeastern corner of Richland County), established in 1823. This was a milling town set up at the confluence of two streams, Slater’s Fork and Clear (or Hell) Creek. 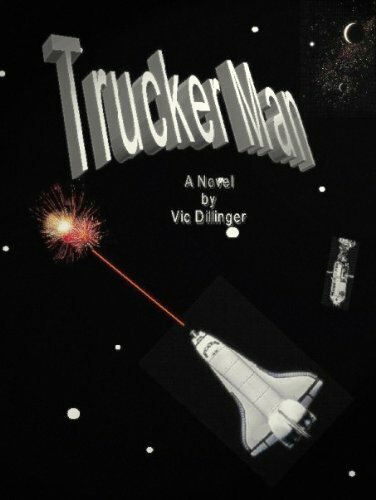 The town was guaranteed a slow death when the railroads came though and shot spur lines to the mill village’s southwest and east, completely bypassing it by a few miles in either direction. The US Army Corp of Engineers dammed the Mohican River in the 1940s at a spot that sealed the beleaguered Newville’s demise. The dam flooded an area that covered most of the town—the Army forced the move of the inhabitants before the dam came on-line. Newville Credit: public domain became a ghost town. Though most of it is submerged, portions of buildings and foundations are still standing in woods west of the lake formed by the dam’s reservoir. Within a handful of miles to the northeast of Newville is the site of old Hell Town. The Lenni Lenâpé or Delaware Indians today are widely scattered. It is estimated the current number of them is around 16,000. The largest concentration (of over 11,000) is in Oklahoma. The Lenape can be found in the province of Ontario, Canada (where they are sometimes called the “Christian Munsee”, after a dialect spoken by one of three early Lenape groups). They also live in Wisconsin and Kansas, and are part of the population of Pennsylvania. Some of today’s Delaware Indians even live in their “home” state of Delaware, though it is far different from the seaboard woodlands they formerly called home. Gary Clothier "â€œItâ€™s Groundhog Day All Over Againâ€." Messenger-Inquirer. 22/01/2013. "Algonquian languages; Flathead; French and Indian War; GnadenhÃ¼tten massacre; Hussites; King Williamâ€™s War; Peter Minuit; Moravian Church; pagan; Queen Anneâ€™s War; Society of Friends." Britannica Ready Reference 2003. 2002. "Delaware; Baron Thomas West De La Warr; Gnadenhutten massacre, Gros Ventre, Nez Perce." American Peoples Encyclopedia. 1963.